The Ujazdowski Castle Centre for Contemporary Art and Biennale Warszawa invite professionals such as curators, researchers and art managers to apply for a one-month-long residency. 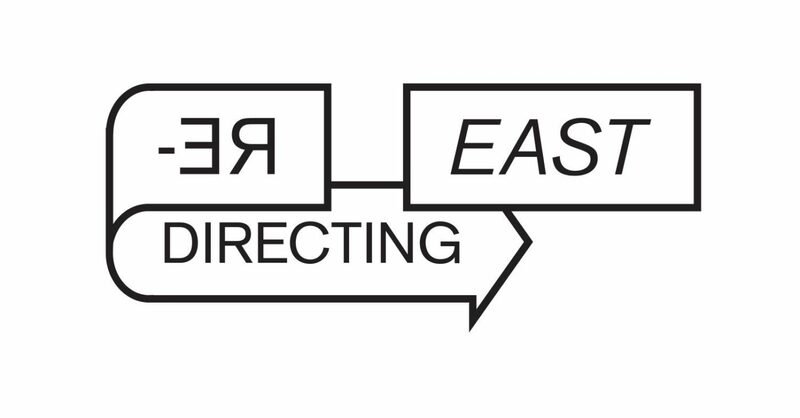 The Re–Directing: East curatorial residency is a peer-learning workshop, a curatorial seminar, extended site exploration and a research opportunity for a group of six individuals together with the teams of U–jazdowski, Biennale Warszawa and local actors. The participants are expected to share their experience and understanding of respective artistic and socio-political contexts and to actively participate in the discussion on alternative models of the transnational collaboration as a form of practicing planetary commons. We’d like to widen our political imagination, formatted by both neoliberal TINA ideology, identity politics and right-wing politics of memory, and speculate about the possible future relations between the former Eastern Block, Middle East and North African countries, focusing more on the commons, than on the cultural differences, discussing possibilities of creating alliances and forms of solidarity beyond the framework of the nation-state. This curatorial residency is a platform for developing a possible working collaboration with U–jazdowski, Biennale Warszawa and other concerned parties in the years to come. Biennale Warszawa is a public institution focusing on a long-term artistic, research and activist program and operating on the basis of 2-year work cycles which terminate with a several-weeks-long festival that is taking place in May and June 2019. The first edition of this interdisciplinary event will focus on the abilities and possibilities of creating and shaping alternative socio-political and economic models and positive scenarios for the future. We would like to invite curators and researchers to explore and speculate on the future relationships between Central-Eastern Europe and Middle-East and North African regions, cities and organizations. The starting point for this process will be the historical context that, from 60s till the late 80s, Poland and other countries from the Eastern Block developed a strong economic, technological and social exchange with the so-called MENA region. These bonds were suddenly cut off in 1989 as a consequence of the transition process and geopolitical reorientation. During the first part of the residency all participants will take an active part in the transnational assembly within the framework of Biennale Warszawa with the possibility to present their own ideas as well as the results of their individual research. The second part of the residency will be devoted to work with curators and experts on a project of a new transnational institution which would transgress the international initiatives based on the concept of nation states (such as the UN) and think about new models of representation and new democratic, equal and ecological futures. Selection will be based on the professional excellence of the applicant’s work and the relevance of the past projects and interest of the applicant in relation to this year’s topic of the seminar, their one-page essay, a draft of the presentation that aims to project an institution of the future and/or to propose a new, speculative model of relations between Central-Eastern Europe and the Middle-East and North Africa. We strongly encourage curators and researchers based in and/or working in the North African, Middle Eastern and Arab countries. Due to the programme agenda, aimed at creating collaborative opportunities, applicants must have a sufficient command of English to communicate with U–jazdowski and Biennale Warszawa staff as well as other residents and to take an active part in the public programme. –The possibility to take an active part in the Biennale Warszawa 2019 transnational assembly. opencall@u-jazdowski.pl — preferred format: pdf (in English). 3. a paper proposal (max. 300 words), outlining the presentation which will be developed by the applicant prior to the residency and presented within the framework of the transnational assembly concerning future relations between Central–Eastern Europe and the MENA region, which will take place at the beginning of the residency as a part of Biennale Warszawa.